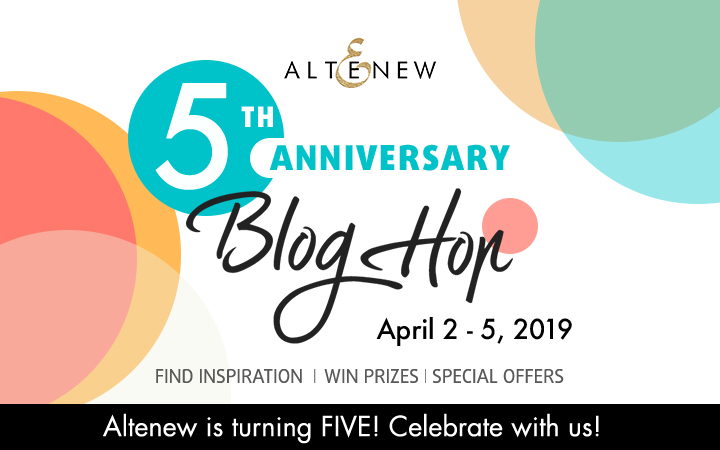 Hello crafty friends, I am so excited to join the Altenew 5th Anniversary Blog Hop because I just LOVE their amazing products! If you already hopping you should arrive from the talented Zinia Redo. Today I am showing you a bright floral card that I made with my favorite Ink Cubes, Stamps and Dies from Altenew. As always you can find all the used supplies in the description box below. First I made quick watercolor background with yellow Altenew Ink Cubes and when it was dry I sprayed and splattered on it with white alcohol spray ink then I let it dry. Next I stamped the flowers and leaves from the Ethereal Beauty and Garden Treasure Stamp Sets. I also used my favorite Altenew Ink Cubes, and I got nice smooth and crisp images. In the end I styled my card and added the pink Happy sentiment that I made with the Happy Word Die. Love the colors of your card! They say happy even without the sentiment. Mona, this is such a bright and cheerful pop of color! 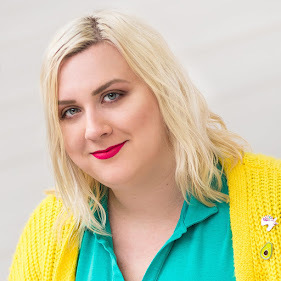 I love your fun design ideas, and am grateful for your inspiration on Altenew! Wow, such great bright colors and design! Love Altenew - Happy 5th Birthday!!! Such vibrant, happy colors. I ordered the happy die today! I’m very curious about altenew inks!! I want to try them on my next order .. this is a stunning card. Very bright and cheerful! Such a happy card. Beautiful. Wow! This card really pops! Never thought about using such a vivid color for my diecut word. Thanks! I'm so in love with Altenew!! Can't earn money fast enough to buy all the ones I want but I do have quite a few ... about 70 sets to be exact! So happy to be able to purchase them here in Germany!! Congratulations Altenew! And thank you Mona for all your ideas and know-how!! LOVE YOUR CARD! The colors are so beautiful! You always have such pretty cards. I love the vibrant colors. Thanks for sharing. Gorgeous colors! Reminds me of my mother-in-law's cheery vintage tablecloths. That's a whole lotta happy! Thanks for sharing. Your card is happy and bold and beautiful. I love the vibrant colors and the die cut word paired with the stamped one. This card is eye-catching and so much fun. Thank you! I love your clean, bright style! Love the bright colors! It would make anyone's day Awesome! That's beautiful! I love the bright colors, especially on a gray day like today. Love this vibrant and cheerful card! Love all the bright colors!! Thanks for including the "how to" instructions for your spring card! Those blues are sooo pretty!! Tfs! Happy anniversary to Altenew! Love this vibrant colors! A very cheerful design Mona, Thanks for the inspiration! Love this bright and vibrant card, Mona! Happy Birthday to Altenew! Such a pretty card Mona. Love the bright colors! So fresh and pretty! Happy Anniversary Altanew! Happy Anniversary Altenew! Love the bright colors. Love the colors! Happy Birthday Altenew! Oh my those popping bright colors are amazing! Happy Anny Altenew! Your vibrant flowers just seem to pop off the card...so pretty! What a HAPPY card! I love the bright colors! Your colors are brilliant! It says happiness all over it. Love love love. Which shade of pink and which inc did you use please? I would love to get this card. The colors are so bright and happy, even without a sentiment. I especially love the flowers. Great job! Altenew products are so mcuh fun to work with. Great job. Happy Anniversary Altenew! Interesting use of colors - so pretty. Very pretty card. The colors are so fun. Such a bright, happy card! It makes you smile just looking at it! This is a cheerful and beautiful card. Thanks for your inspiration and of course to Altenew as well! Happy Birthday Altenew! What a lovely card! Beautiful card Mona and I love the bright colors and the blue flowers with the pink sentiment. So fun and perfect for spring! Your bright and beautiful colored card reminds me of a Lily Pulitzer dress! Maybe you could submit this card to see if they would turn it into a pattern! A second career for you as a dress print designer! A beautiful pattern and I would totally love to wear this card, as a dress, to the beach this summer. Great work! Happy Birthday Altnew!! 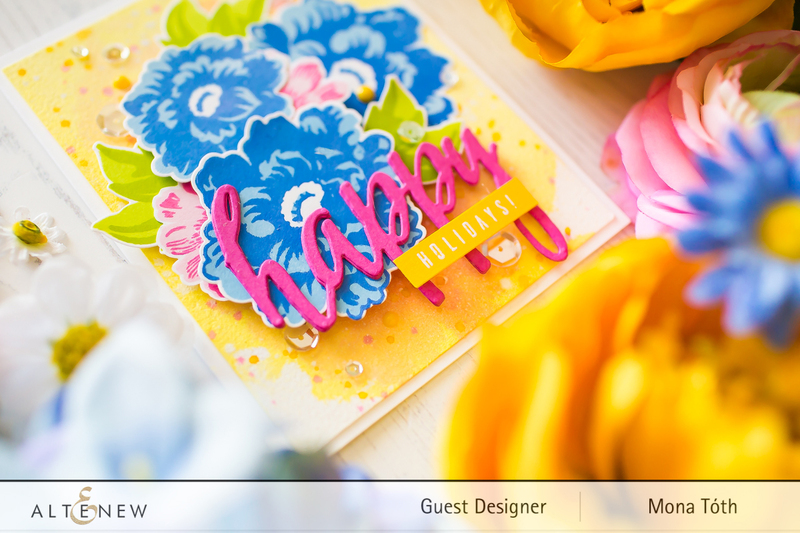 Beautiful bright colors, loving the background..
A fitting card for Altenew's Birthday. Bright a d happy. What happy colors, they make me think of spring. Happy 5th anniversary Altenew. Lovely and bright spring inspiration! Great card! HB Altenew!! This is such a bright and cheerful card! What a difference that background makes to those beautiful flowers! Love the bright, happy colors. Great use of colors! Thank you for sharing your talent! What a happy card - love the blue flowers! I'm beginning to think spring may never come, but the colours on your card made me smile (even though the sentiment is Happy Holidays). Thank you! Wonderful colors used. They look great against the yellow background. Very flashy take on the primary colors. Love your orange and blues. There are never enough oranges in these blogs and I love that color. Great card! That card with its vibrant colors does make me happy! It is a beautiful and cheery card. Beautiful card. Makes me think of warm sunshine. Now if the weather would bring some warmth my world would be perfect. Just like your card!! The bright colors are so happy and spring like Mona, I just love your sy-tyle! Such a bright and colourful card - exactly right to help Altenew celebrate their birthday. Love all the bright colors together! They make me happy. Love the bright happy spring colors on this beauty!! Oh man! I just love the bright colors in this card! So beautiful!! Love the happy colors you chose! LOVE the happy colors on this 'happy' card lol!! A very nice and bright card! Wow, your card makes me so happy and I just wanna smile. So beautiful! Thanks for sharing your creativity! Very much enjoyed your card. The colors vibrate with the joy of spring! I like how the sparkles balance the lovely background with your two tone florals. What a bright and fun card! The blue and pink really are a happy combo! I like the stamp set you used. I might have to purchase that! So colorful! Happy Anniversary, Altenew! Such a bright and happy card. Love the card and the vibrant colors. Love the blue and pink together. This is such a pretty card with the bright colors. Great design too. Happy Anniversary Altenew. Love the colors in this card. What bold colors! Very impressive. We all love the beautiful colors you put together for this card, just beautiful! Such a bright and beautiful card. I love those blue flowers!! Thanks for sharing and congratulations again Altenew!! Such bright and happy colors on your wonderful card! I love the bright colors on your card. They make me happy. I love how Bright and happy your card is. It is perfect for Spring! Isn't it wonderful that Altenew has been here for 5 years! Wow! Love the style. Glad to find your blog thanks to Altenew. So bright and colorful, perfect for this celebration. This totally ROCKS!! LOVE the fun blue flowers and all the happy colors you used on this card!! Very nice card....bright, and happy looking card....anyone would be so happy to receive it...thank you so much for sharing today.....Congratulations to Altenew! Love this gorgeous card, the vibrant blue and pinks and yellows are so happy! I LOVE THE BRIGHT COLORS!!! Happy Birthday Altenew! 5 years! WOW! Amazing. THANK YOU for all your inspirations!! What a bright, cheery card - thanks for sharing! I really liked the background on that card. Just love the blue and yellow combination. Thanks for the inspiration! 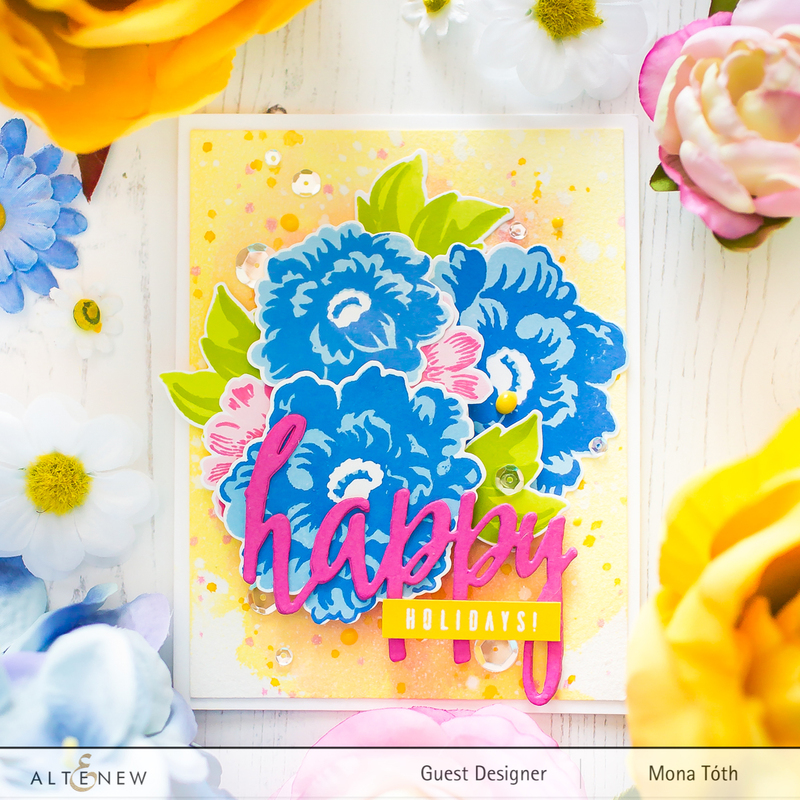 Happy 5th Birthday to Altenew, just love how bright and vivid your card is! Bright, happy colors! Love it! Such a bright and happy card Mona. Just beautiful. Thank you for sharing your talents with us. Beautiful colors! Looking at this card reminds of spring, which makes me happy. Such pretty colors! Spring is surely in the air. Love the colors, so bright and cheerful. Such a beautiful card! Love the bright colors. Such a bright and cheerful color palette! Thanks for sharing! This is bright and cheerful! New card maker here and I am getting such fantastic ideas! These are such happy and vibrant colors!This is simply amazing! Happy birthday Altenew! Gorgeous card love the happy colors you chose!!! Love it. Very pretty! Love your bright and beautiful flowers! Such a happy colored card. Would make me smile. I love this card! Such vibrant colors! Bright and beautiful card! Thanks for the inspiration! Loving the colors and products you used for this Altenew hop. So delightful. I love your style with such happy bright colors. Congrats and Happy 5th anniversary Altenew! wow this is so vibrant, it makes me so happy! Wow! This is the Spring should look like. I love the mix of vibrant and fresh colors. lovely card with vibrant and fresh colors. Love how the pink happy pulls out the peek-a-boo pink flower! Such a bright, cheery card! Love it! An amazing card! I love the bright colors combined. Love your bright, happy card. 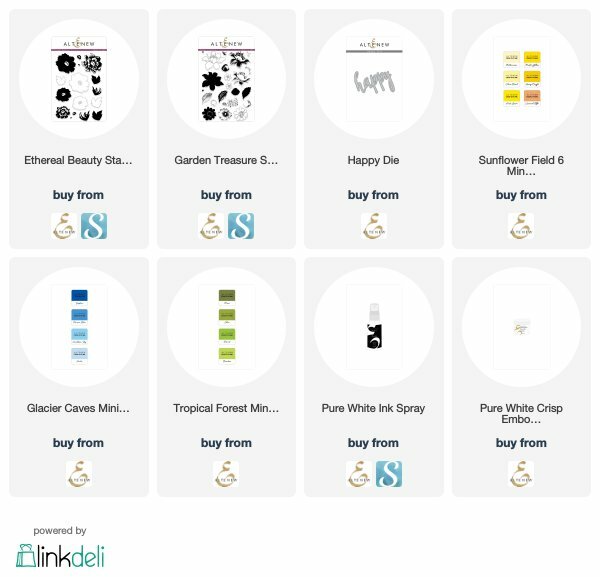 Thanks for sharing these ideas with the beautiful Altenew products. Pretty floral card in bright Spring hues! I love this card ! It's so bright and happy!! Wonderful card! It just makes me happy to see the bright colors! I love the vibrant colors, so pretty ! That is a very happy card! Such beautiful bright happy colors. Thank you for the lovely inspiration! Pretty card! I love, love, love your background! Wow! That was my first reaction to your bright cheerful card. Love all the colors. I especially like your background. Very beautiful color choices. Such beautiful use of color and stamps!! Love the card overall. Gorgeous creation, the colors make me HAPPY! Altenew, CONGRATULATIONS on your 5 year anniversary! What an awesome celebration! Awesome colors! Thanks for being a part of the Altenew blog hop. Such a bright and cheerful card!! Love it! What a beautifully bright and happy card! Happy Anniversary to Altenew! Beautiful vibrant colors and color scheme! Brought a smile to my face! Such bold and beautiful colors on your flower card. You get happy just looking at it. Your card is beautiful! Altenew makes cards so easy. What a bright and cheery card! Love the dimension! Yay!! 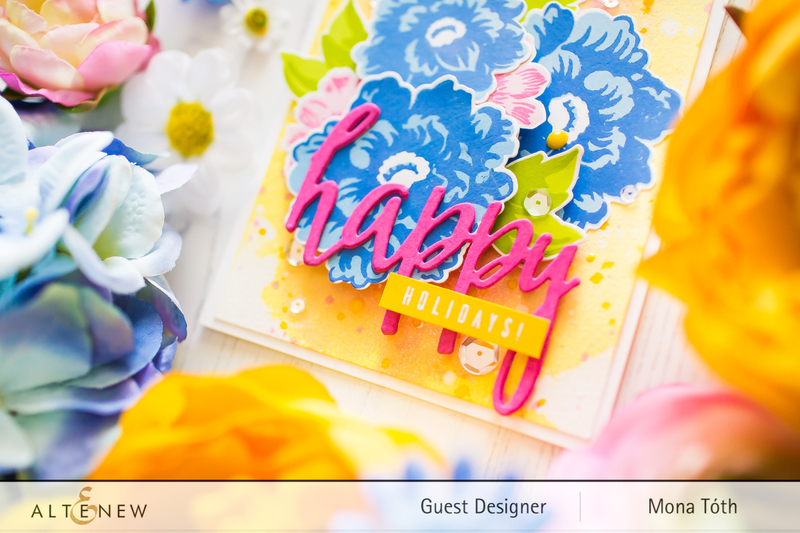 Such happy, bright, springy colors on your beautiful card! What a awesome card Mona, such happy colours, I love it! Thank you for your inspiration and participating in this great Altenew 5th anniversary. This card feels like a summer pool party in floral form. I wouldn't have thought that was possible, but there you go! This gave me a smile; thanks for sharing. Really nice combination of colours. So vibrant and cheerful! Spring is in the air! What a bold and beautiful card! I love the watercolor background that you started with...it makes those flowers really pop off the card! Love it! The bright colors do make me Happy after this very long winter. Such a pretty card. It’s so bright and cheerful. Loving your color choices! I would never have thought to use the Happy Holiday sentiment for anything other than Christmas or New Years....well done!